Save On Energy Costs With Best Buy & ENERGY STAR !! Since 1991, the federal government has designated October as Energy Awareness Month. That means it’s a wonderful time to visit your local Best Buy store and upgrade to more energy efficient appliances, computers or televisions. Best Buy and ENERGY STAR® make it easy for you to find products and appliances throughout the store that will save you money and color your home GREEN! ENERGY STAR is a U.S. Environmental Protection Agency (EPA) voluntary program that helps businesses and individuals save money and protect our climate through superior energy efficiency. The annual energy bill for the average U.S. home is $2,200 and energy efficient products can save you money. Find out how much money new appliances can save you by clicking HERE! Aside from simply owning energy efficient products, local utility companies can provide you with rebates that can save you up to $300 annually! To find out what ENERGY STAR Rebates are available in your area, check out the Best Buy online Rebate finder HERE! Save on energy costs with Best Buy by selecting from a wide variety of ENERGY STAR certified household appliances such as microwaves, refrigerators, ovens, dryers, and washers. There is also a wide range of ENERGY STAR certified TVs and computers found online and in your local Best Buy stores. 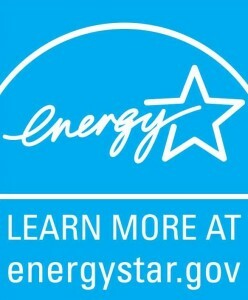 Best Buy has more than 2,300 unique ENERGY STAR certified products. This October for Energy Awareness Month color your home green, do yourself a favor and upgrade to a new energy-efficient appliance, television, or computer to save money on your home energy bills!